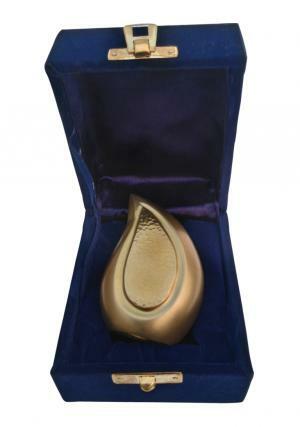 Brushed Brass Teardrop Keepsake and purely engraved teardrop keepsake cremation urn for ashes is used to preserve the last memories of demised loved ones. 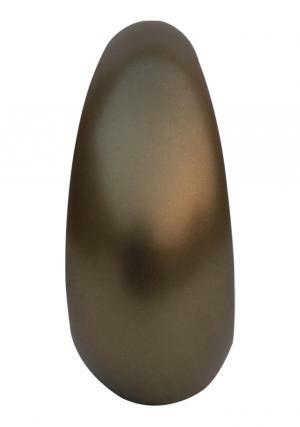 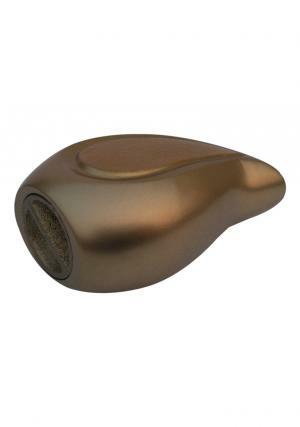 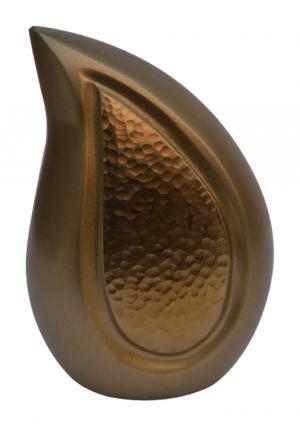 The Teardrop keepsake Brushed brass funeral urn is made of quality brass metal with large brass enamel layer in smooth finish from skilled professional and inner tear encompass a gold flame as a well covered body. 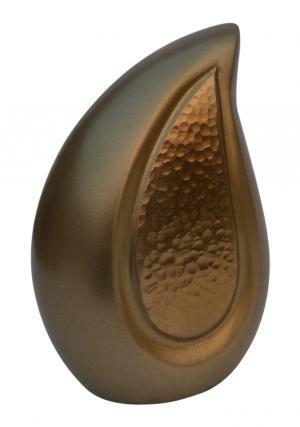 The brushed brass teardrop memorial ashes urn has a flat base to decorate the stand and incorporated with grip layered screw threaded lid at the bottom for insertion of ashes. 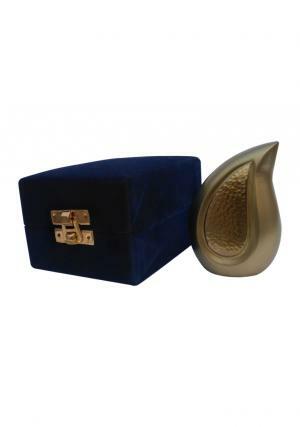 The teardrop keepsake ashes funeral urn carries 4 cubic inch of cremated ashes approximately which is measured to be 3.149 inch in height, width & length of 1.96 inch and 0.24 kg in weight.